The Aidan O’Brien trained pair of FAIRYLAND and TEN SOVEREIGNS and the evergreen HARTNELL provided Tattersalls yearlings with an International Group 1 treble ahead of the Tattersalls October Yearling Sales next month. The Ballydoyle stable of Aidan O’Brien dominated the Group races at Newmarket’s Cambridgeshire meeting with the Tattersalls yearlings FAIRYLAND and TEN SOVEREIGNS winning the Group 1 Cheveley Park Stakes and Group 1 Middle Park Stakes respectively. Both victories also provided their year younger siblings with significant catalogue updates ahead of the Tattersalls October Yearling Sale. FAIRYLAND was purchased at Book 1 of the Tattersalls October Yearling Sale by the Coolmore team, headed by MV Magnier as well as Peter & Ross Doyle for 925,000 guineas from the draft of breeder Tally-Ho Stud. The daughter of KODIAC out of the PIVOTAL mare QUEENOFTHEFAIRIES is now equal favourite for next year’s 1,000 Guineas and her victory provided her MUHAARAR half-sister with a significant catalogue update. She is catalogued as lot 58 at Book 1 of the Tattersalls October Yearling Sale whilst KODIAC has 23 yearlings catalogued. 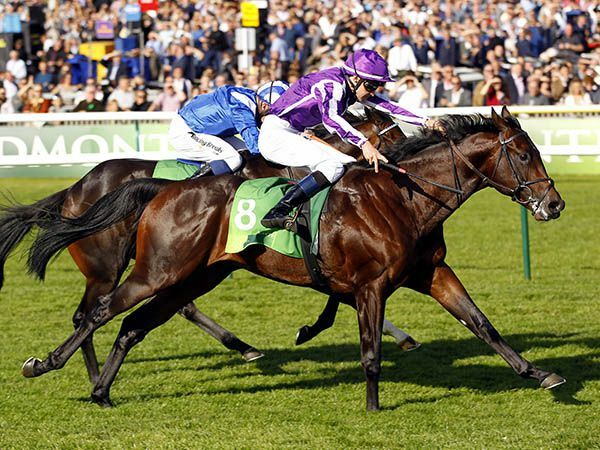 O’Brien’s run continued when TEN SOVEREIGNS scored a narrow victory in the Group 1 Middle Park Stakes. The son of NO NAY NEVER was a Tattersalls October Book 2 purchase for 200,000 guineas by Charlie Gordon-Watson Bloodstock from the draft of Camas Park Stud. The Co Tipperary based nursery offer a full sister as lot 103 at Book 1 of the Tattersalls October Yearling Sale, one of ten yearlings by the exciting first-season sire NO NAY NEVER. 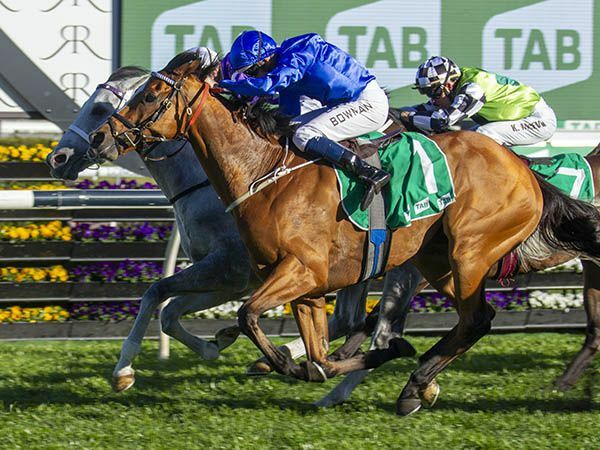 Earlier in the day HARTNELL scored a game victory in the Group 1 Epsom Handicap for the Godolphin team. 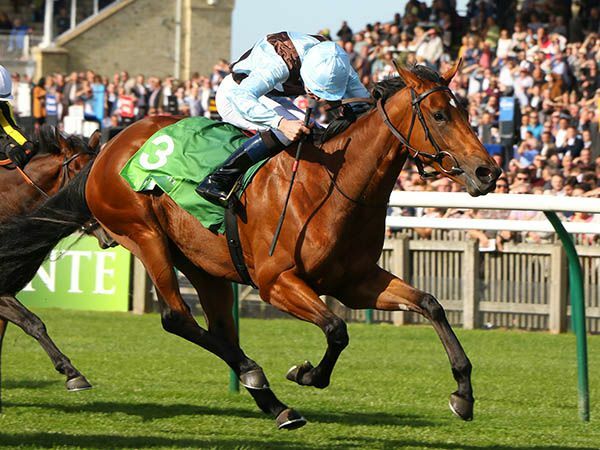 The son of AUTHORIZED was purchased at Book 2 of the Tattersalls October Yearling Sale for 45,000 Guineas by Mark Johnston Racing from The Castlebridge Consignment. Book 1 of the Tattersalls October Yearling Sale takes place from October 9 – 11, with Book 2 taking place on October 15 – 17 and Book 3 and 4 from October 18 – 20. Catalogues are out now and available from Tattersalls and Tattersalls representatives.